Fox's The Wolverine is the only new opener going into wide release this weekend. Our analysis below. 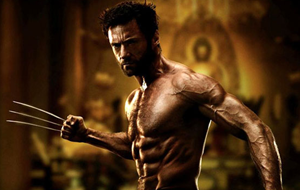 - The enduring popularity of Hugh Jackman's Wolverine. - The built-in comic book fan base. - Early reviews suggest this should be an improvement over the 2009 X-Men Origins: Wolverine. - Twitter activity has been solid throughout the week, as has been Flixster activity. - The inability for Pacific Rim and other recent action movies to break out could be good news for this. - The recent buzz surrounding next year's X-Men: Days of Future Past could rub off on this franchise entry. - Origins set the franchise back for a second time as audiences largely rejected it. Will the positive response to the mostly unrelated First Class in 2011 alleviate that negative effect? - Audiences have had a lot of action movie choices at the box office this summer already. - Facebook activity, while solid, has trailed that of First Class despite the film boasting the X-Men universe's most popular character. - In the wake of Marvel Studios' success, is a sequel outside of their Marvel Cinematic Universe going to carry the same appeal that it used to? Check out our weekend forecast for The Wolverine and the remainder of the top 11 in the table below. Pacific Rim Jul 12, 2013 Warner Bros.